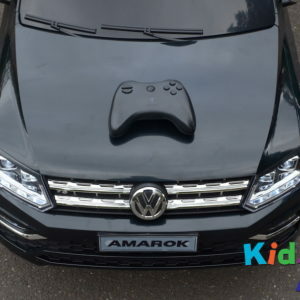 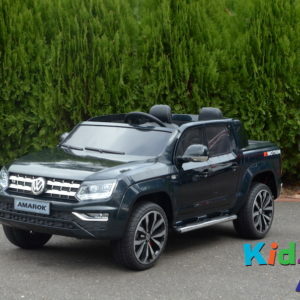 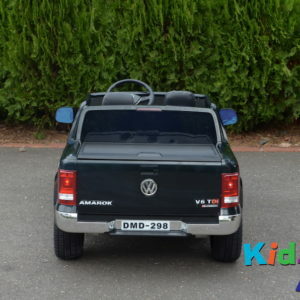 The awesome Amarok is fuelled by not one but two 35w driving motors, which provide more power for a longer drive time between charges, and a 12v battery which enables a top speed of 5kph. 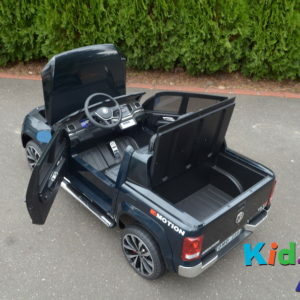 There are forward and reverse gears and the upmarket ride-on can carry up to 30kg in weight, so it is suitable for youngsters aged 4—8. 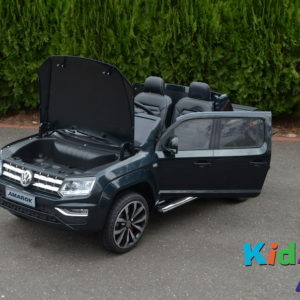 The luxury open-top pick-up has plenty of storage space under the bonnet and in the boot, doors that open, working lights, windscreen wipers, chrome sills and alloy wheel trims. 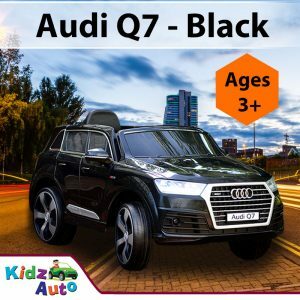 The stylish dark-grey interior features two padded seats with belts and head-rests, chrome trim on the dashboard, push-button start, LED clock, illuminated milometer and speedometer, radio/MP3 connector and turning and battery indicators. 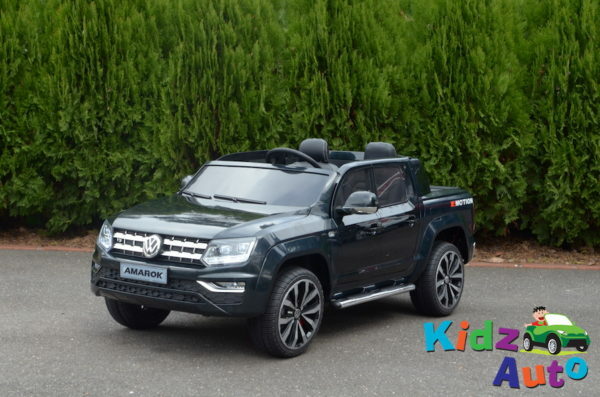 This mean machine is based on the full-size version and is licensed by VW, which means that it is made under the company’s supervision, and that the overall quality, paintwork and electrics are of a higher standard than those of budget ranges. 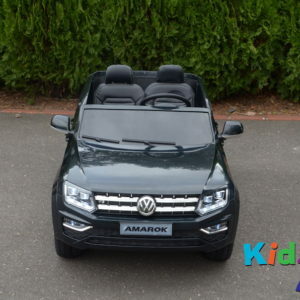 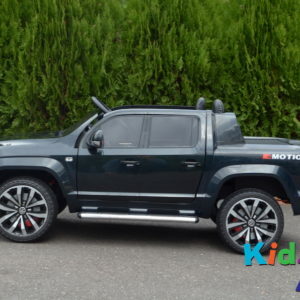 Your little one will love driving around in this big beast with plenty of room at the front and back for purchases. 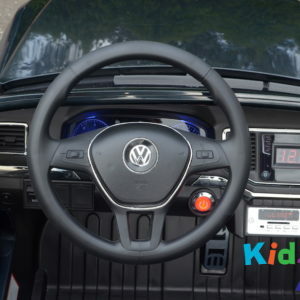 Your youngster will also learn valuable skills such as steering, control, coordination and how to operate all those buttons! 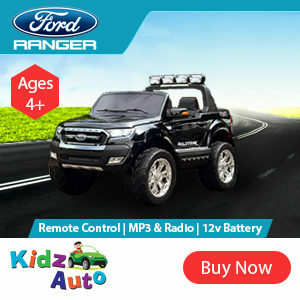 And he’ll benefit from exercise and fresh air and have action-packed fun and enjoyment, away from all the digital stuff! 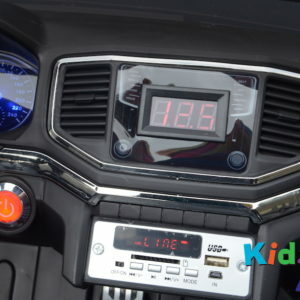 Your young one can even enjoy his favourite music as he drives, just like Mum and Dad. 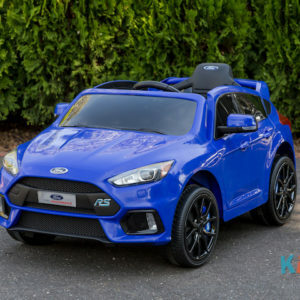 Kidz Auto is proud to offer the largest range of top-quality electric ride-on toy cars ‘down under’, and our service is second-to-none – check us out on Facebook and TrustPilot. 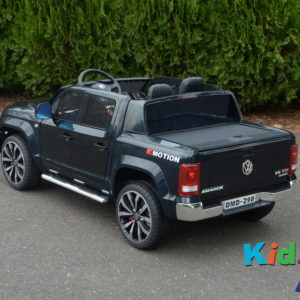 Have a look at out our website and see the fantastic range for yourself. 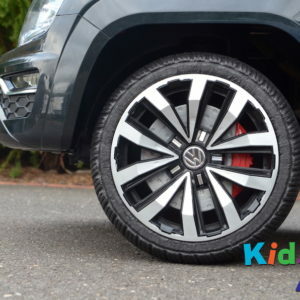 Even better, have a look at our videos on YouTube and see the cars in action and how well they handle. 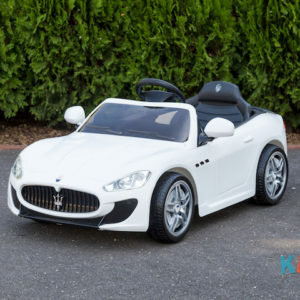 So go on, give your little one the perfect childhood experience, one they’ll always treasure!